When Prohibition was repealed on December 5, 1933, do you think people gathered in cocktail bars and discussed the finer points of a 2:1 gin Martini? No. They grabbed hold of whatever wretched rotgut was most accessible and poured it down their gullets with wild abandon. 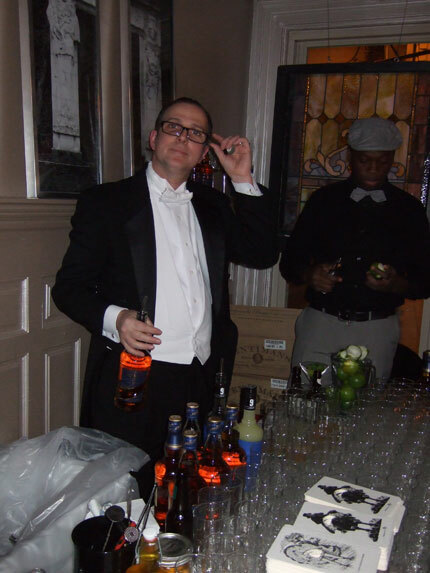 I was merely reenacting that moment, then, when I went to the Washington D.C. Repeal Day Ball, sucked down Kamikazes in the ’80s Room and danced on the shoulders of Eastern Standard’s assistant bar manager. I was fortunate to be invited down to the Capitol that weekend by the D.C. Craft Bartenders Guild, which throws the annual bash, and Melanie Asher of Macchu Pisco, a boutique producer of Peru’s storied grape spirit. Together, they hosted an 11-person Boston contingent that also included Kevin Martin (above), Jackson Cannon and Nicole Lebedevitch of Eastern Standard; Brother Cleve, who programmed the tunes for the event’s Tiki, ’60s and Prohibition rooms; Misty Kalkofen of Drink; Alex Homans of Russell House Tavern; April Wachtel of The Gallows; Robert Hoover of Upstairs on the Square; Corey Bunnewith of the Citizen Pub; and Liza Weisstuch, freelance drinks writer extraordinaire. The ball was set up like a swanky house party in the Maison Biltmore, with seven differently themed rooms for our cocktail pleasure: 1800s/Punch, Highballs, 1920s/Prohibition, 1960s/Mad Men, Tiki, 1980s and the Future. (In the future, apparently, we will enjoy Rum & Coke Foam and Blue Hawaiis solidified into those little dot candies you peel off of paper.) 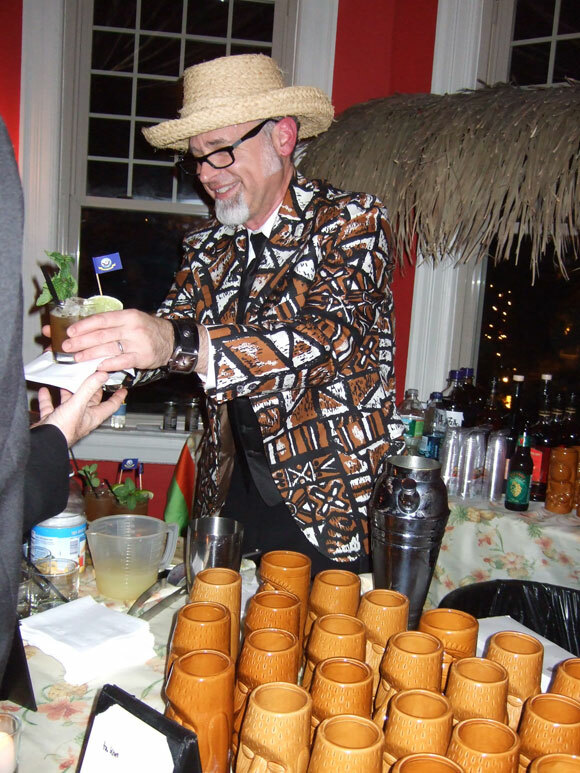 Attendees donned their finest vintage threads and partied well into the night. D.C.’s top ‘tenders and a few of their Philly brethren, plus celeb mixologists from around the nation, put their skills on display. Then there was an afterparty with even more punch in a massive space that seemed to suddenly materialize in the back of the Passenger. Amazingly, all but the few Bostonians who had to depart early rallied, bleary eyed, on Sunday to join Garrett Peck’s illuminating Temperance Tour of Washington D.C. After the tour, Peck, who recently wrote The Prohibition Hangover, joined us for patties and Yuengling at the Burger Joint. Next, our group livened up a Sunday evening at Brasserie Beck by depleting its menu of Belgian beers, following that with a last call of Macchu Pisco Sours back at the Passenger. Phew! Here are some pics. Who else but a top-hatted David Wondrich would be working the Punch Room? 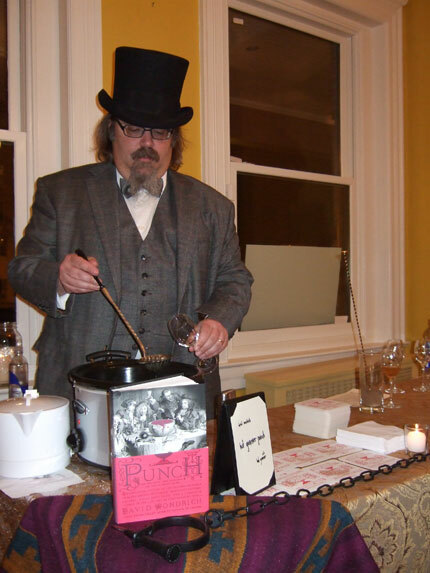 Seen here with his just-published book Punch: the Delights and Dangers of the Flowing Bowl, serving a hot potion out of a vintage, early-1800s Crock Pot. 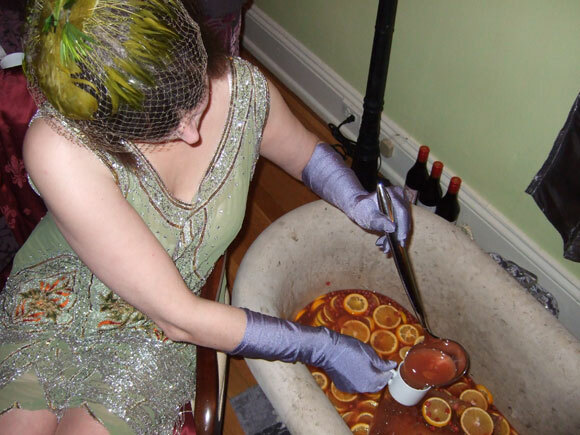 The fabulously flapperesque Phoebe Isabelle Esmon of Philadelphia serves bathtub punch in the Prohibition Room. If you’re in Philly, go see her at Catahoula Bar & Restaurant. 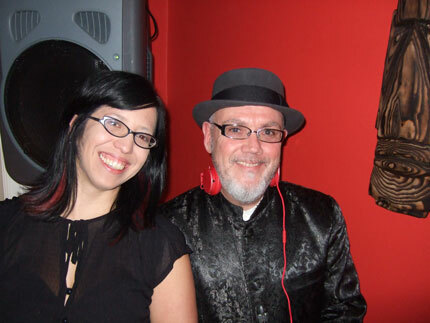 Misty Kalkofen lounges with Brother Cleve as he spins exotica in the Tiki Room. If I had to pick the evening’s winning room… (then again, see top photo). Jeff “Beachbum” Berry, the apostle who introduced us all to the Gospel of Tiki, serves delicious ’40s-era potions in the Tiki Room. Do I remember what they were? No. But they were delicious. 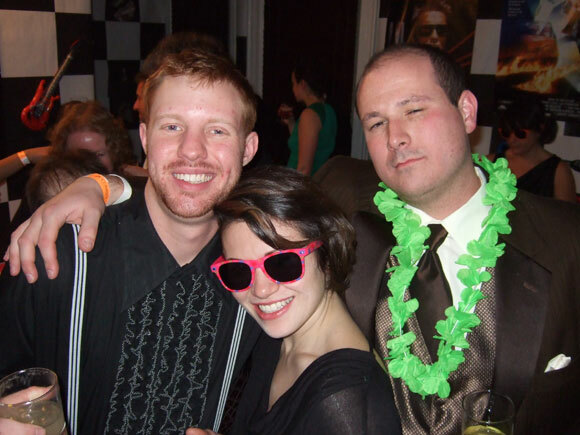 Corey Bunnewith, April Wachtel and Kevin Martin made the ’80s Room theirs. Seriously, ask them about it sometime. The next day, we got some learnin’ in. 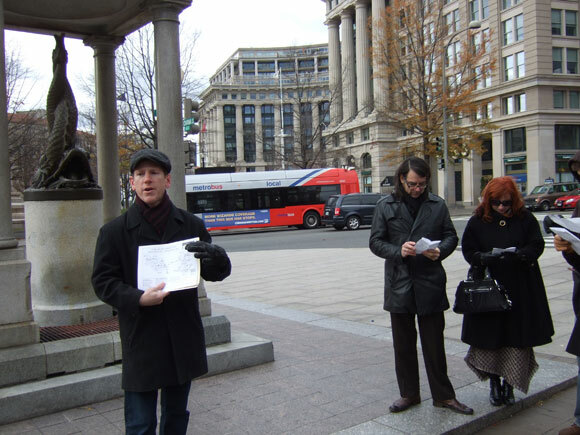 Garrett Peck begins his Temperance Tour on a blustery day in front of D.C.’s Temperance fountain, of which there were once 50 nationwide. And since it was Sunday, we went to church. 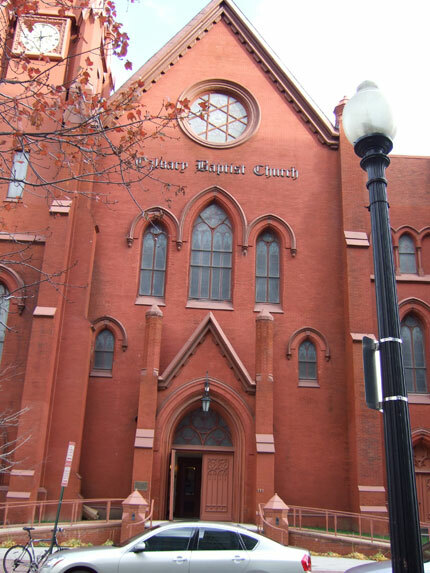 The famed Calvary Baptist Church, that is. It’s where the Anti-Saloon League, which wrote the book on pressure politics, had its first national convention in 1895. Those poor souls. The presence of our group of bartenders, hungover from celebrating the anniversary of Repeal Day, surely had them rolling in their dry graves. looks like a fab time! It was quite the well put-together soiree. 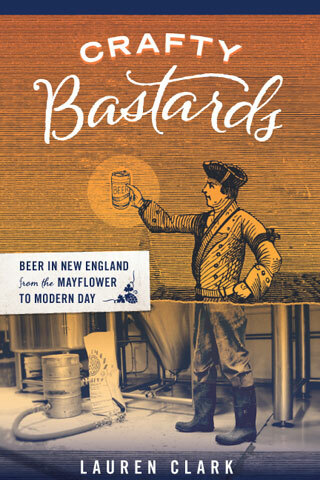 Hope you can make it to a future one, or better yet, to a bar crawl with me here in Boston. the picture of you and kevin is AMAZING!!! That is the most awesome Lauren Clark photo ever: belongs in the dictionary next to “Repeal Day”!